This prime Big 5 safari area is on the southern banks of the Linyanti River, where the Savute marsh subsides into lagoons and steadily flowing rivers with riverine forests of jackalberry and sausage trees. 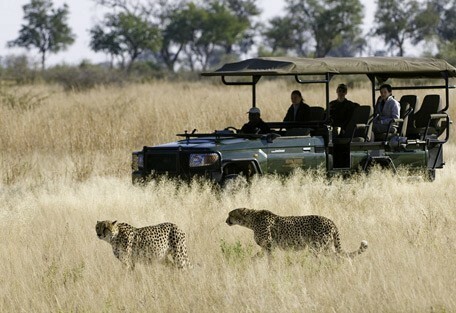 It is a prime game viewing area covering almost 5000 sq km in the south west of Chobe National Park. It is here that some of the best wildlife documentaries have been made for National Geographic by Derek and Beverely Joubert. The Savuti region covers an area approximately 5000 sq km in the south west of Chobe National Park and became well known with the drying up of the Savuti Channel in the early 1980s. Even more so, it is known as an incredible game viewing paradise. The Savuti Channel started flowing again after 30 years. The Savute Marsh area is well known for its coverage in a number of well-known wildlife documentaries, especially the National Geographic films by Dereck and Beverly Joubert. The landscape consists of rich grasslands, savannah woodland and a large variety of trees and vegetation. A Big 5 safari will take visitors on game drives to spot the amazing variety of game on offer in Linyanti Savuti area. The Savuti Channel and the Linyanti River combine to create this wildlife region in the south west of Chobe National Park, which is a water wonderland of marshes and waterways. Traditionally the Linyanti was an area guests were encouraged to visit in the winter months; however with the Savuti Channel flowing again after a 30 year drought, we believe it is a spectacular area to visit any time of the year. Predator viewing is superb in Savute, with lions, leopards and hyenas competing for the variety of prey in this game-rich area. Lions in this area have particularly been known to hunt and kill elephants. Botswana Safaris don’t get much better than a combination of 3 nights in the Linyanti and 3 nights in the Okavango Delta. Our Botswana Safari Price Guide details the costs of the camps and will point you in the right direction in planning your Botswana Safari. Set on a floodplain in the Selinda Concession, Zarafa is one of Botswana's best and most luxurious safari camps. 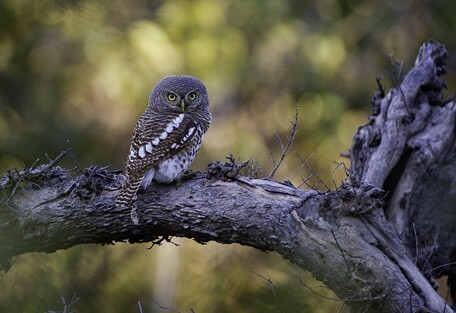 Predator viewing is exceptional and there are brilliant birdlife concentrations. 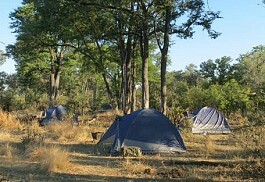 Savuti Camp is located on the banks of the Savuti Channel. 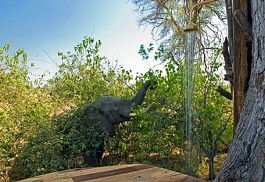 Guests are able to watch wildlife from the comfort of the camp, or even from their own private decks. 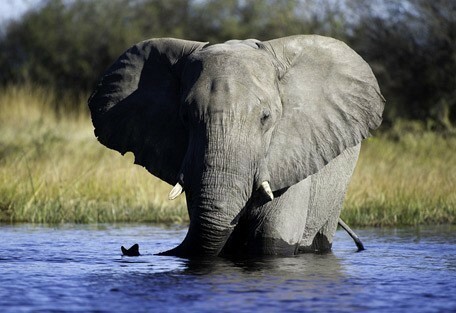 The Savuti is well known in Botswana for some incredible wildlife. It is a small, wonderful, luxury tented safari camp that is situated on the banks of the eastern Selinda Spillway. Selinda Camp is part of the huge Selinda Reserve in northern Botswana and has breathtaking views over the Selinda Spillway. 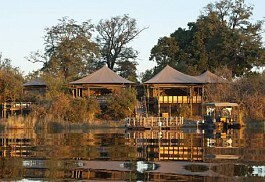 The camp overlooks the Kings Pool Lagoon and the Linyanti River. 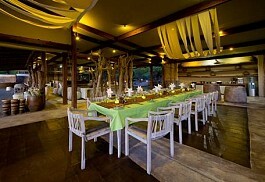 Kings Pool Camp is a truly luxurious safari lodge in the Linyanti Wildlife Reserve. 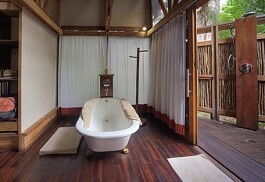 Each chalet has a private plunge pool. 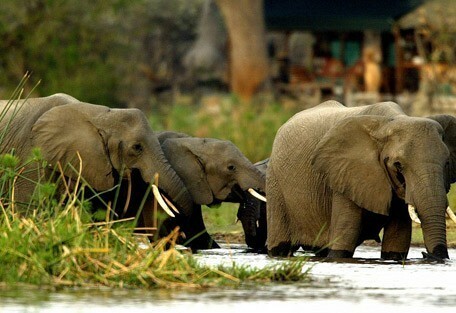 Large herds of elephants are the reserves prime attractions. DumaTau is built under cool mangosteen trees overlooking an enormous lagoon. DumaTau Camp offers an excellent safari experience in the Savuti/Linyanti area. The camp is well appointed and perfect for families. Guests can expect to see large herds of elephants. The Selinda Canoe Trail is an excellent and affrodable safari options for adventurous guests looking to experience a canoeing and walking safari. Selinda Explorers Camp is poised in a remote, treasured location on the famous Selinda Spillway. 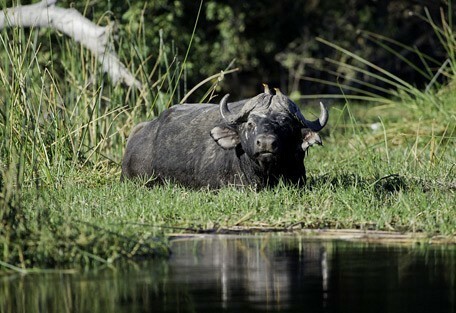 This area is home to incredible wildlife and the camp is accessed via light air transfer from either of Maun or Kasane. 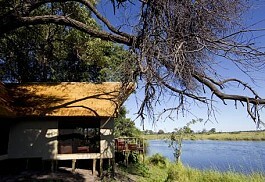 Kwando Lebala Camp is located to the north of the Okavango Delta in a private concession. 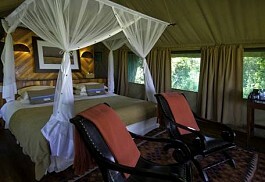 The camp offers all the traditional safari activities and offers an exceptional wildlife experience. 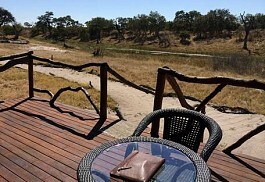 Kwando Lagoon Camp is situated on the shady banks of the Kwando River. 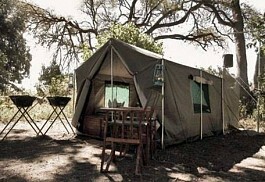 The camp is small and intimate and is in a pristine, private wildlife concession. The camp is famous for its wilddog sightings. 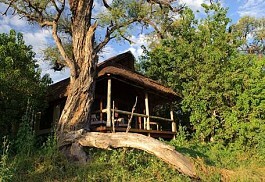 This camp focuses on walking safaris within its private Chobe Enclave concession. Each safari is an adventure that delivers an authentic, personal experience which awakens guests’ senses to allow them to fully appreciate Africa’s true wilderness. Linyanti Bush Camp is one of the best places for dry-season game viewing in Botswana’s secretive Chobe Enclave with the year-round presence of water from the Linyanti Marsh attracting thousands of elephants, birds, buffalo, and lion. Linyanti Ebony is an intimate, luxury tented camp supremely located on the Linyanti River in Chobe Enclave, accommodating only 10 people at a time and welcoming family groups or exclusive bookings of at least eight people. The Savuti area is renowned for offering spectacular game viewing opportunities. During the dry season, guests can expect to see Savuti's famous resident bull Elephants, antelope and lion prides as well as black-backed jackal, bat-eared fox, tsessebe, kudu, impala, giraffe and ostrich. During the summer months thousands of zebra and antelope species migrate to the area offering fantastic predator viewing including lion, hyena and cheetah. Buffalo herds arrive with the rains, as do migrant bird species, while the resident species number over 300. 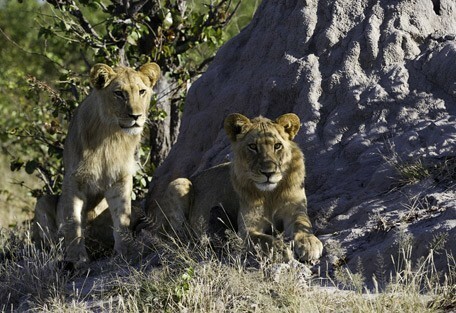 The Savute marsh is where lions are known to be particularly skilled at hunting and killing elephants. It is a trend that has dissipated in more recent years, but visitors still travel to Savute with the hopes of catching a glimpse of this natural spectacle. The Linyanti Savuti region is a typical example of Botswana's 'miracle river' system; the Savuti Channel, after all its decades of dormancy, is now a permanent water supply in the area. The rainy season arrives with the summer months, and the Linyanti Savuti region is inundated with water from December to April, making water-orientated safaris the way to go during this time. Before the rains, in October, temperatures reach their highest (over 40 degrees Celcius). The rain means the vegetation is lush and antelope species migrate here to calve. There is also the arrival of water-loving insects, amphibians and birds. The rains dry up with winter, after April, and by June, July and August, the temperatures have dropped and the water that remains is in the permanent channels. This is great for game-viewing, as one can rely on the animals in the area to gather at the water. Savuti Camp is perfectly located on the banks of the Savuti Channel, which is flowing again after a 30 year drought. 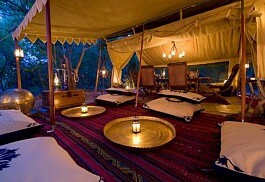 This luxury tented camp provides a quality safari experience with every opulent detail in place. Kings Pool Camp is nearby and also allows guests to experience the classic Linyanti safari in luxury, with large elephant herds as well as the presence of all the predators. Kwando Lebala, which is in the Kwando Concession is considered one of the best camps at which to view all of the Big 5, incorporating night drives and off-road game drives into guests' itineraries. Guests setting out to tour the Savute region of Botswana will have flights arranged by their Sun Safaris agent from South Africa's OR Tambo Airport to Kasane Airport in the north of Botswana. Chobe National Park is the 2nd largest in the country and the Savute Linyanti area is located in the south west of the park, which is a far way from Kasane. Upon arrival at the airport, guests will connect with their pre-arranged air transfers to the Savute airstrip, taking them right into the wilderness by air. For the final leg, guests will be picked up at the local airstrip by their guides or hosts and be driven through the wild reserve to their destined camp or lodge. Guests who start on an Okavango Safari or in another part of Botswana, will be booked on a light air transfer between their lodges.